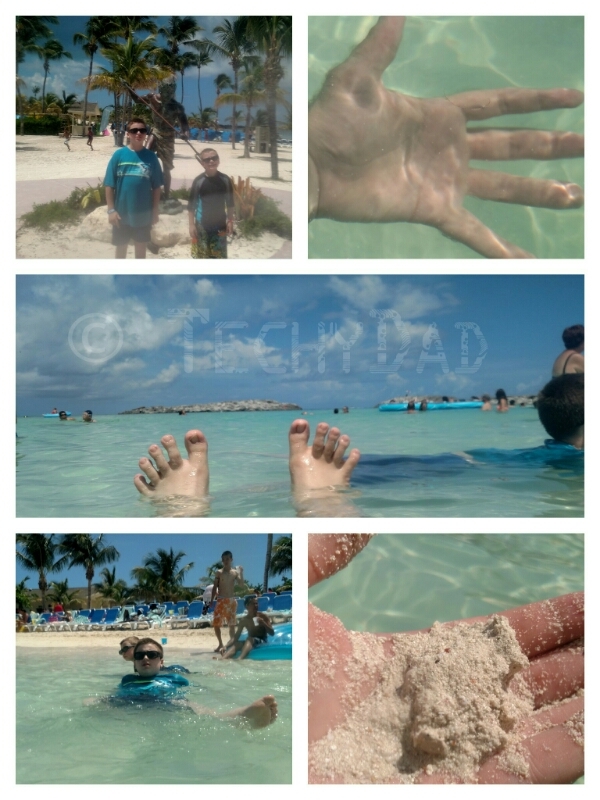 Today was beach day on our cruise. 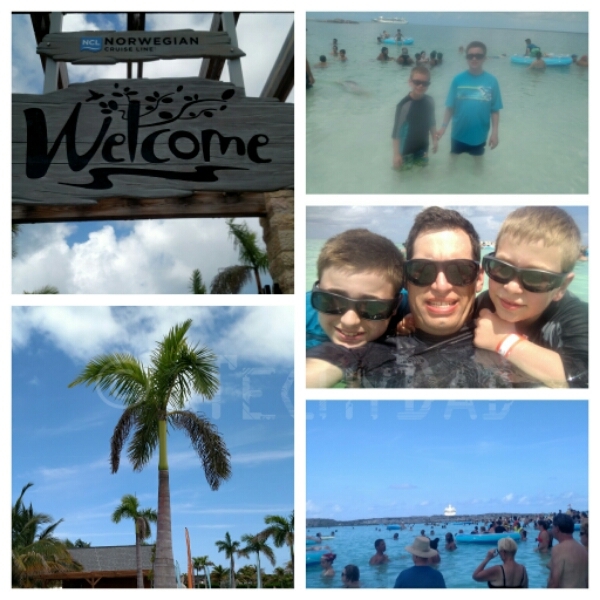 As we approached Great Stirrup Cay, we dropped the boys off at Splash Academy – Norwegian Cruise Line’s kids camp – to have some fun while B and I had some couples’ time away from the kids. While walking around, we saw the island we were heading to later. We were amazed at how blue the water was. Soon, it was time to get our tender tickets. You see, the ship is just too big to dock at the Cay. 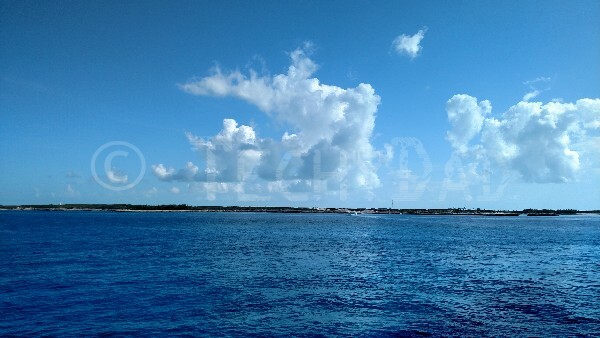 So you need to board smaller vessels which take you to and from the Cay. Unfortunately, everyone couldn’t go on the same boat so they gave it numbered tickets. We were given number 11, but this still meant needing to wait. 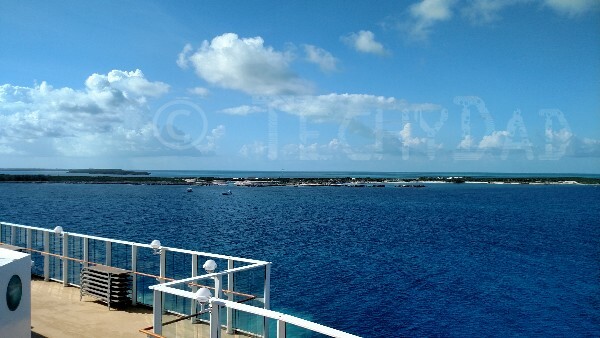 At last, our time came and we got to head to the Cay. 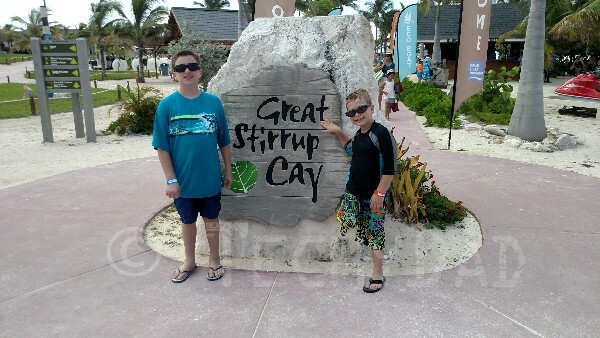 At the Cay, there was food, music, games, shipping, and, of course, the beach. All too soon, it was time to head back to the ship. As much as I like the ship, part of me wished I could just remain on the beach – having lots of fun without any cares at all – for the rest of my life. Our day didn’t end there, though. More about our cruise another day..